Thanks to Good Cubed for sponsoring this post! Today I wanted to talk to you about cruelty free makeup at Good Cubed. 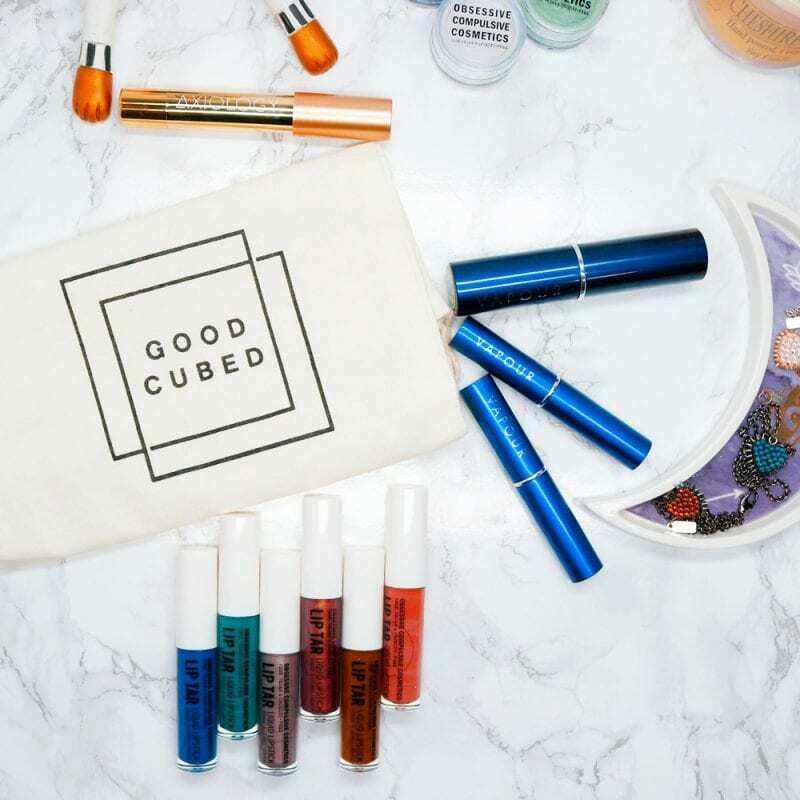 Good Cubed is a new clean online beauty department store that sells cruelty free makeup. They’re a woman-owned business located right here in Florida. They focus on 100% cruelty free, paraben free and sulfate free products. They even have eco-friendly packaging! After talking to the owners, Nicole and Zach, I learned that they love animals deeply like I do. They give 1% of all sales to the Beagle Freedom Project, which rescues animals from laboratories and finds them loving homes. I think that’s extremely endearing. 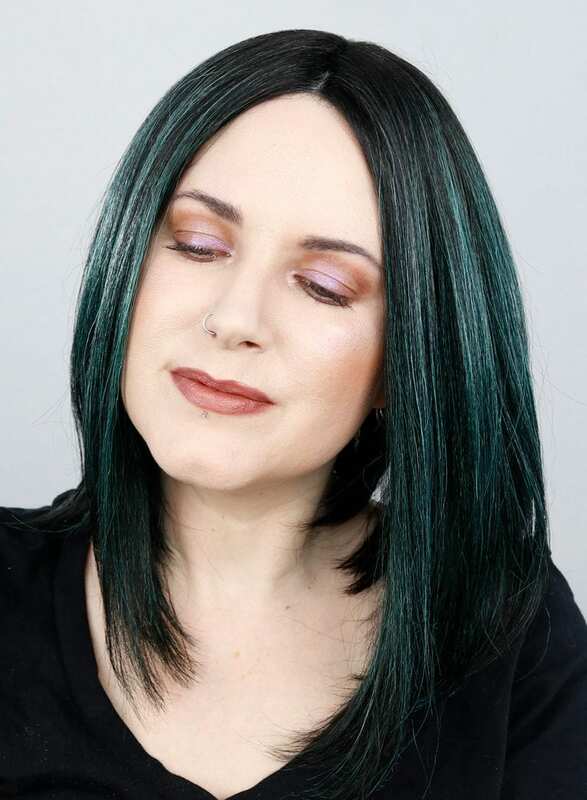 It’s easy to shop online for cruelty free makeup at Good Cubed. 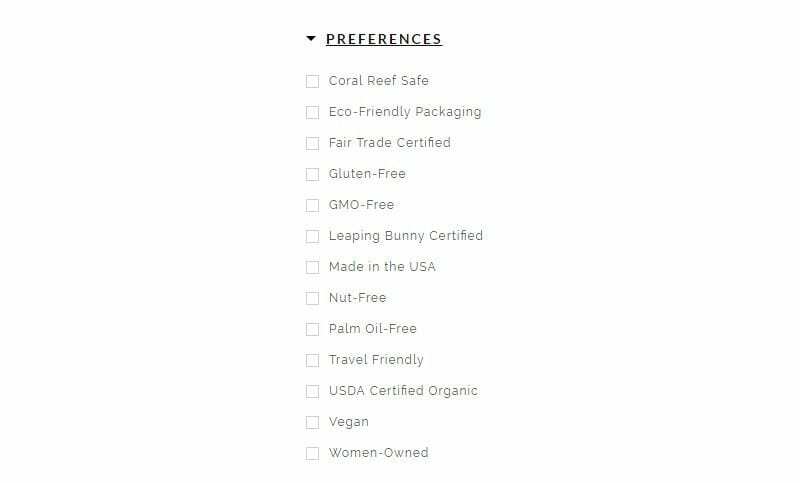 They have preferences boxes you can tick so that if you’re looking for vegan, women-owned, fair trade certified, gluten-free, nut-free, palm oil-free products, etc so you can find them. I know many of my friends and loved ones have a gluten allergy, so this is very helpful. It’s also great for people who are concerned about palm oil and its impact on the environment. And they have an option to only shop from Leaping Bunny Certified, which I know many of you will love! Good Cubed is committed to doing their part to help eradicate animal testing in the beauty industry. They only partner with companies that don’t test on animals or sell in mainland China or any other market where testing is mandatory. They want to help demand change in the beauty industry so that everything is 100% cruelty free. That’s something I can agree with! They have a lot of lesser-known indie beauty brands alongside some familiar names. 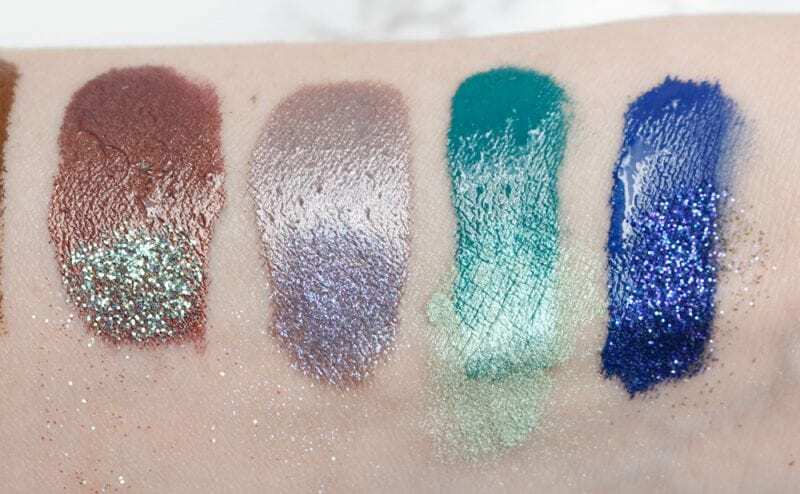 Seeing Obsessive Compulsive Cosmetics on their site was exciting to me, as they’re no longer carried in Sephora or anywhere near me. Good Cubed is adding new brands that fit their ethics all the time. 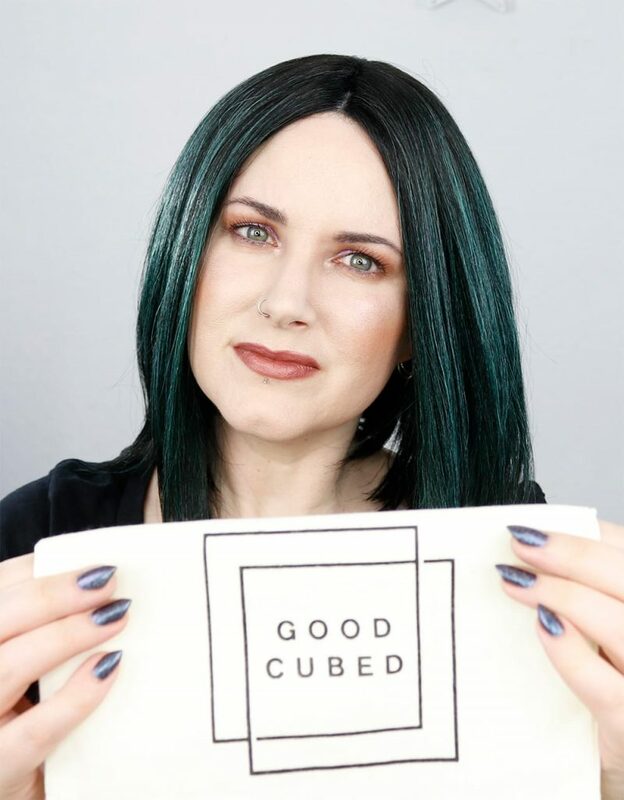 You can see Good Cubed’s cruelty free pledge here. They even take recommendations! I’ve recommended several brands to them that I think they should carry. Wouldn’t it be amazing to see indies like Aromaleigh, Fyrinnae or Silk Naturals stocked there? Good Cubed sent me some products from Vapour Organic Beauty and Axiology. I’ve never tried anything from either brand so I was happy to get the chance to play with them. Axiology Beauty is based out of Bend, Oregon. They make 100% vegan lipsticks and lip crayons that are hydrating and long wearing. The Lip Crayon I received, Serene, has great ingredients like shea butter, candelilla wax, avocado oil, avocado butter and more. Vapour Organic Beauty is from Taos, New Mexico. Their products are concentrated, moisturizing and contain high antioxidant activity to blur the lines between skincare and makeup. I received a foundation and two eyeshadows. The Atmosphere Luminous Foundation is a sheer foundation that it supposed to even your skintone to give you a lit from within glow. The shade 090, Fairest, is their ultra pale neutral. It’s even an Allure Best of Beauty winner. It’s meant for dry sensitive skin like mine. The Vapour Organic Beauty Mesmerise Radiant sticks are lovely. Seduce is a smoky warm brown with flashes of blue and violet. Cinder is a smoky warm pink shimmer. Axiology Serene is a mix of burnished rosewood and brown sugar. It’s perfect for pairing with any makeup look from a cat eye to a simple wash of color. 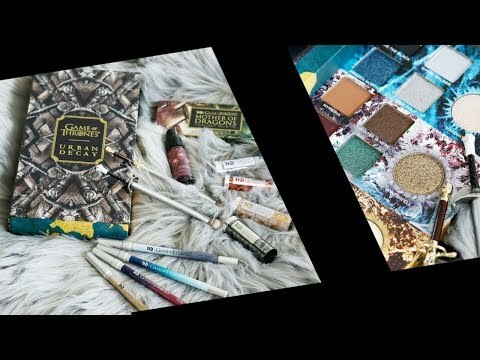 Obsessive Compulsive Cosmetics sent me their Fall 2017 Season of the Witch Collection. It’s gorgeous! Since OCC Makeup is carried at Good Cubed, I wanted to include swatches of some of their products here. First are the RTWs (ready to wear liptars). Sleepwalker is a hazy neutral rose. Ghostwood is a rich tobacco brown. Hex is a deepest plum with antique gold shimmer. Quicksilver is a metallic platinum silver. Abyss is a deep sea teal. Blue Rose is a true cobalt blue. Hex and Quicksilver are my favorites. Quicksilver reads like a silvery taupe on my skin, while Hex is a brown with plum tones and subtle antique gold shimmer. If you’ve never used a liptar before, you need only the TINIEST amount of product to cover your entire lips. A little goes a very long way. Ghostlight is an opalescent pink with green duochrome glitter. 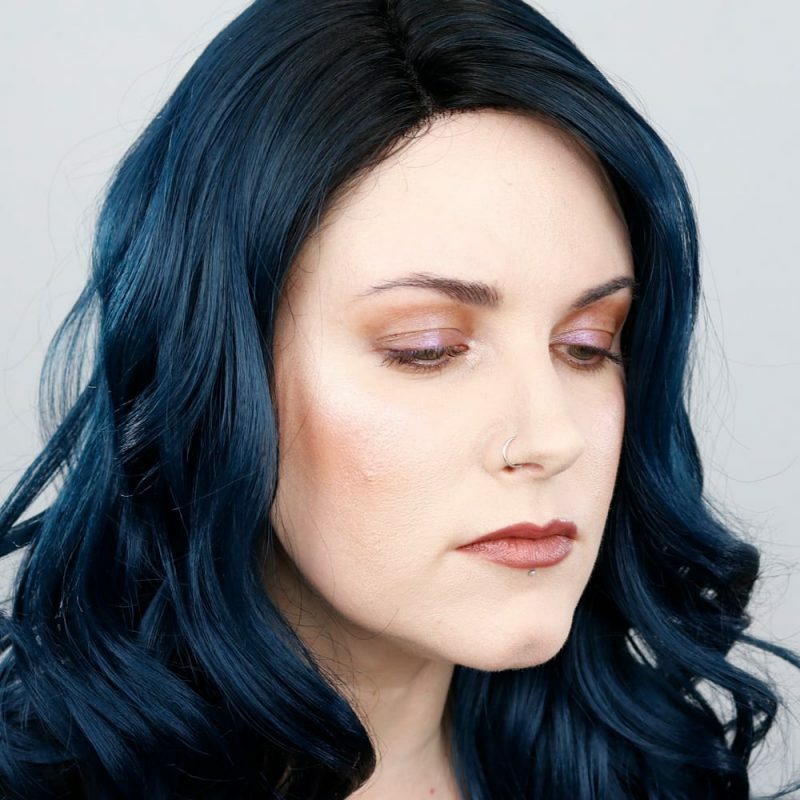 Technopagan is a blackened violet with blue shift glitter. These are not meant for the eyes but can be used elsewhere around the face. They’re stunning! Astral is a sheer blue-violet shimmer. Atmosphere is an iridescent jade green. 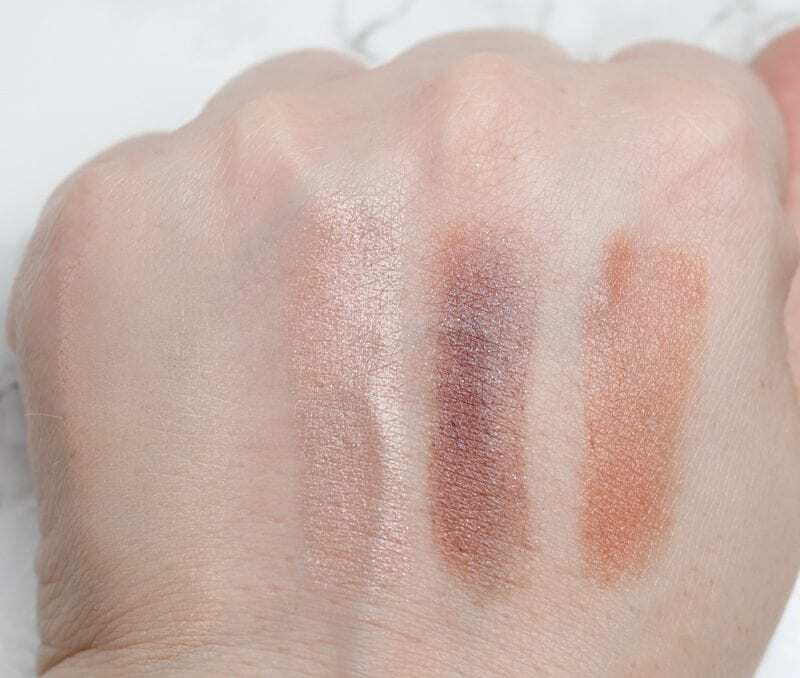 These are both loose eyeshadows. These are both beautiful but I especially love Astral. I did my eye makeup different than I normally would. I didn’t use an eyeshadow primer for once. I applied a thin layer of Vapour Organic Beauty Seduce all over the lid, lower lid and crease and blended it out with a fluffy brush. I layered OCC Makeup Astral on the inner lid. 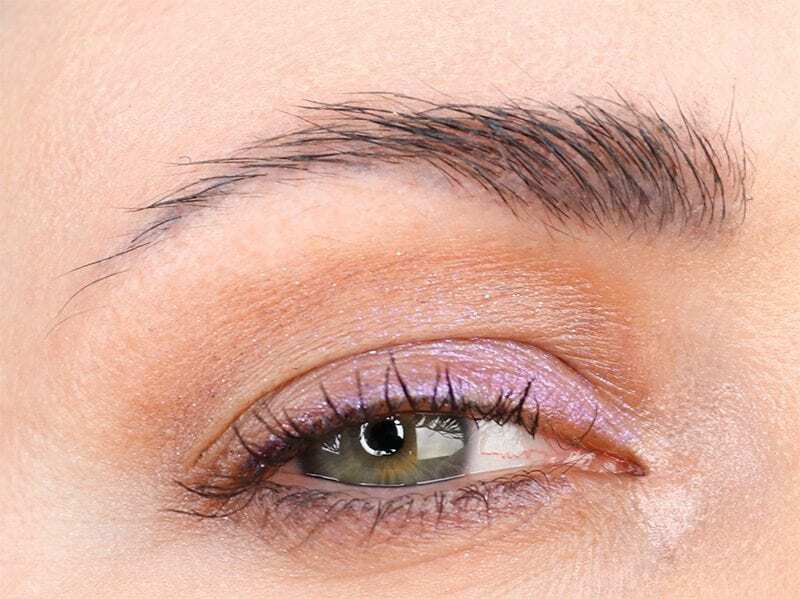 I highlighted at the inner corner with Vapour Organic Beauty Cinder. I topped it off with Urban Decay Perversion mascara and Glossier Boy Brow in black. The next time I wear Seduce it will be on primer. My eyes are just too hooded for eyeshadow to survive without it. For my lips I applied Axiology Serene as a base all over. Then I used a lip brush to blend OCC Makeup Hex on top. I really like the lip color I created! For my face I started by using Milk Makeup Blur Stick as my base. Then I used a brush to apply Vapour Organic Beauty Luminous Foundation in 090 all over. I needed a bit more coverage to hide my redness from rosacea, so I topped that with Laura Geller Balance-n-Brighten in Porcelain. I used Aromaleigh Kupala blush on my cheeks. I highlighted my cheeks with Physicians Formula Butter highlight in Pearl. What do you think of this laid back makeup look? Which wig do you like best with it? 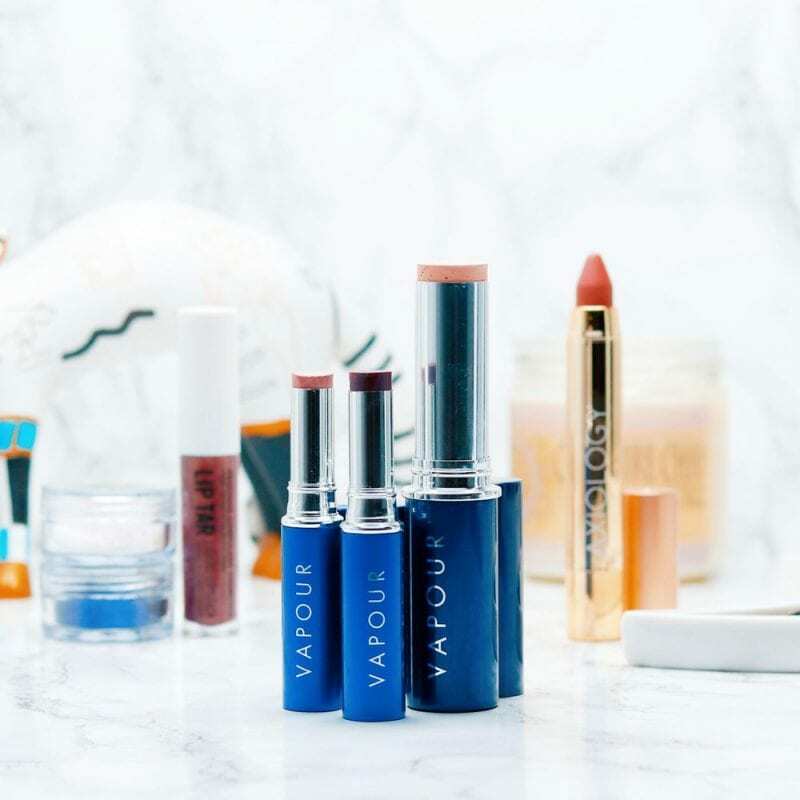 Have you tried Vapour Organic Beauty, Axiology or any of the other brands at Good Cubed? I’m so glad I found Good Cubed! I love that Nicole and Zach’s passion for animals led them to found Good Cubed so that they could share cruelty free makeup with others while giving back. I think it’s great that they’re connecting socially conscious beauty enthusiasts with indie brands. It’s awesome that they’ve made it easy for my friends and family who have gluten and nut allergies to safely shop online. Check out Good Cubed and let me know what you think of them! You can also follow Good Cubed on Instagram for your daily dose of cute, as they share a lot of cute animals. They’re on Facebook, too! Save 15% at Good Cubed with the code PHYRRA! I’m grateful that they’re planning to ship internationally in the future. I love Alima Pure but can only find some of their products locally and have been wanting to have access to a wider choice of their products. I also love Vapour Organics Siren lipsticks. They are quite expensive for the small amount of product you get, but the formula works for my dry lips (not drying them even more, while lasting a good amount of time, a rare combination of qualities) and the 2 shades I have (Chere and Possess) are really delicate shades that work so well with my fair complexion and very cool undertones. I love that they mix well-known with indie. It gives me something I know I’ll love and also the chance to discover new things! The laid back look is great. I think wig #2 and I like the lip you created. I have to check out the different brands that Good Cubed has to offer. I love what Good Cubed stands for! Good Cubed looks like a great place to shop. It eases my burden to know everything in gluten free. phew! OO! What a great site. Makes it so much easier to shop!! Thank you for telling us about Good Cubed, I love their mission! 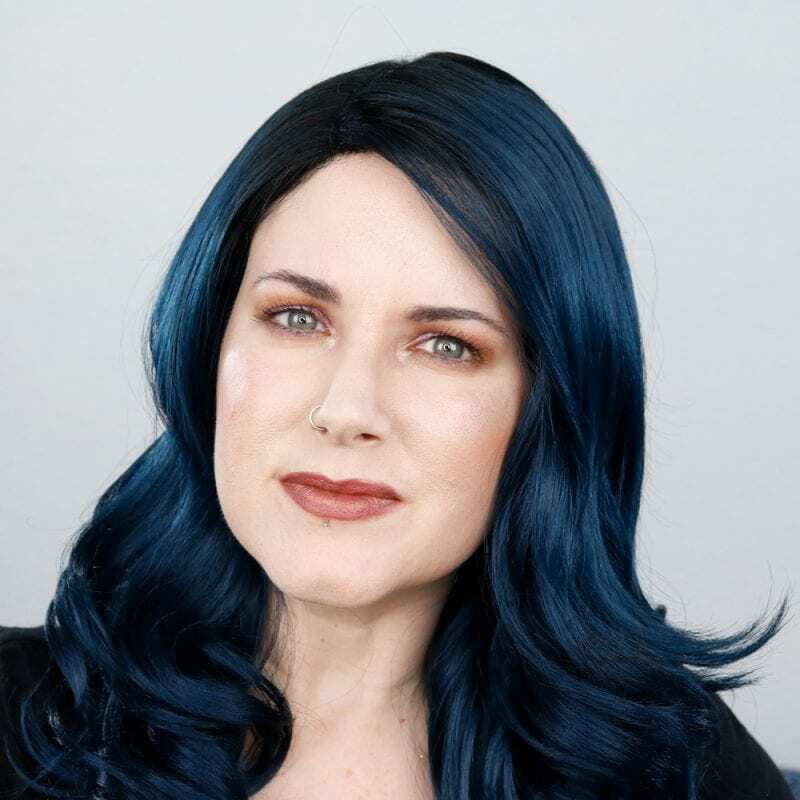 I like this pared down look and prefer it with the blue wig. Love the lip color you created too! I’ve used Vapour and really enjoyed the brand. I love creamy products which they do well. I’m glad to hear about Good Cubed since I’ve had readers ask me if products were gluten free and I can’t always find that information. Now I know to go to Good Cube or direct them there. I love this look on you, too! I thought I hadn’t heard of Obsessive Compulsive makeup before. Then you mentioned lip tar and then I remembered seeing it on byrdie or something like that. That’s great that the website is all cruelty free! Makes it easy to shop from for those with the preference. Your swatches are beautiful and I love your everyday eye look! Thanks Stacie! I rarely wear brown so I figured it would be good to step outside my comfort zone. 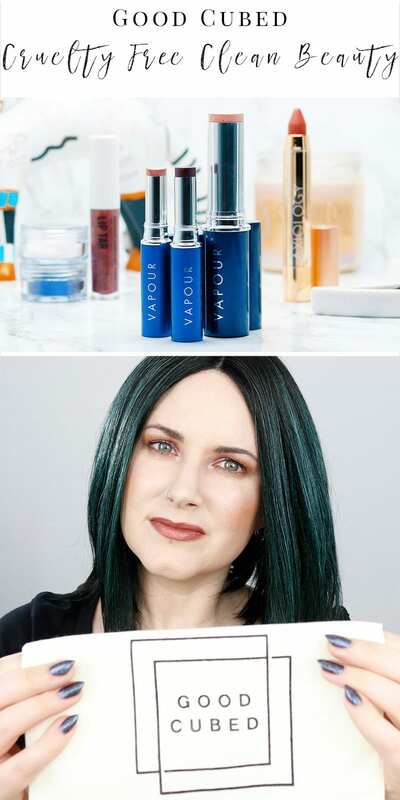 I am a huge fan of Vapour Cosmetics! I love the looks that you created, and your swatches are amazing! I love Vapour and Axiology! I need to check out GoodCubed asap! They look like they would have colors you would adore! Nice! I’m excited that Axiology Beauty is from my home state. Their colors look great, and I can support a more local business. This brand has all the ingredients I like in a makeup company: cruelty-free, privately owned, caring owners, and really awesome looking cosmetics! I’m glad to see the list you keep of cruelty-free beauty companies growing! This is a GOOD thing! 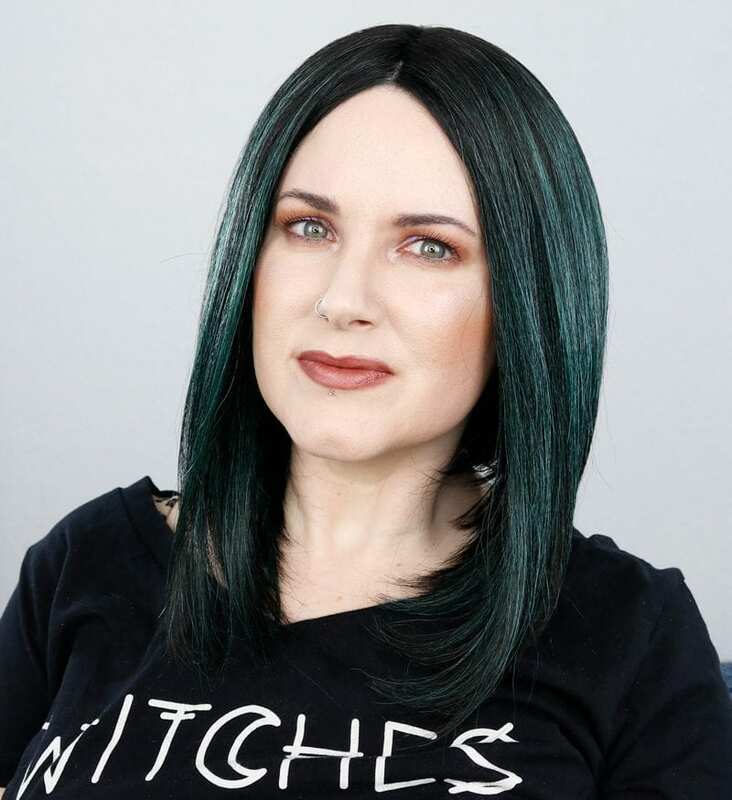 I have the Vapour Foundation and some of their serums and skin care– awesome line. I love the foundation though I often forget to wear foundation. It’s great to hear that they have excellent skincare! I never thought about my makeup containing nuts! My husband is allergic to peanuts and almonds so we can’t have them in the house. I’m diligent about food and household products but never thought about my makeup. I love everything about these products! I’m going to have to try them out. It can be so hard to deal with food allergies. We have to be gluten-free in the home and I didn’t realize until last week that I needed to get rid of my wooden spoons for cooking and replace them because gluten could have gotten into them.